Citizens of Poland who are planning to travel to Russia must obtain a visa in advance corresponding to the purpose of their travel. This can be done by contacting the licensed Visa Centre of the Russian Federation in Poland VFS Global. Depending on the purpose and dates of your travel, you may apply for a single, double, or multiple entry visa. 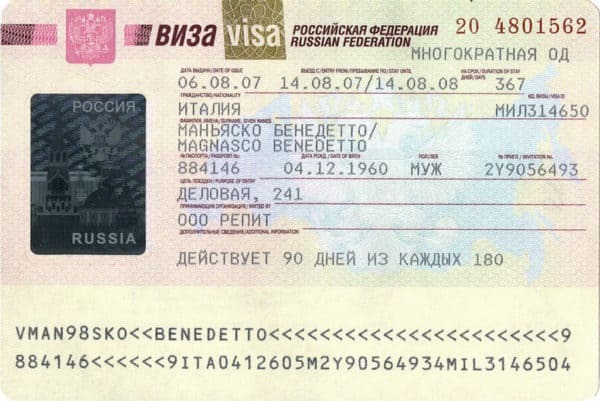 You will need this type of visa if you are planning to stay in Russia no longer than 30 days. A single or double entry is possible with this visa. We offer you to obtain a tourist invitation if you are going to Russia for a short stay of no longer than 30 days with the purpose of tourism, visiting friends, and relatives. Your invitation will be from the official Russian tour operator, indicating the accommodation during your trip to Russia, dates of travel, and personal details. 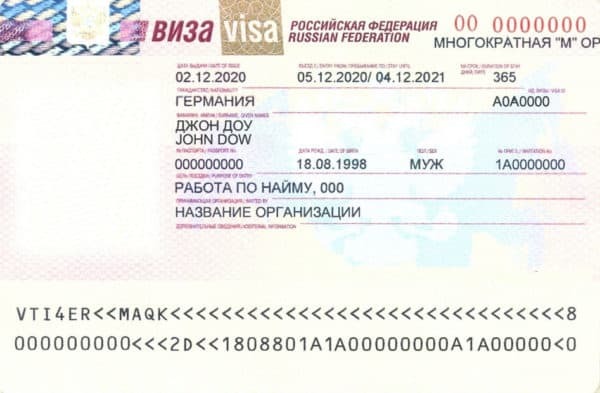 You will need this visa if you plan to stay in Russia from 90 days to 1 year with business purposes. This visa allows single, double and multiple entry. Invitation on the official FMS form. We offer you an electronic business invitation if you travel to Russia for a period from 90 days to 1 year with a business purpose. Business invitation will be sent to you as an official electronic document from FMS and also sent electronically to the consular service center of Russia in the foreign country where you plan to apply for your visa. A Polish citizen may apply for a business visa to Russia if he receives an official letter of invitation from Russian company. This company must be licensed by the federal migration service to issue the appropriate letter of invitation. We offer you an electronic business letter of invitation if you travel to Russia for a period from 90 days to 1 year with a business purpose. Benefits of the Business letter of invitation: short processing time and lower cost. Main condition: to have a previous Russian visa issued not earlier than the last year. The invitation will be written on the official form of the Russian inviting company and sent to you in a copy (if you are going to stay up to 90 days) or in the original (if you are going to stay for 1 year). If you are going to get employment on the territory of the Russian Federation and stay in the country for a long time, you will need a work visa. To apply for a work visa you will need to obtain a work permit and a working invitation. A work visa may be issued for a period of up to three years. HIV/AIDS certificate which is valid for 3 months. We offer you a working invitation if you plan to stay in the Russian Federation for a long period of time and work privately, or if you have business in Russia. You will receive an official working invitation from a Moscow company. To apply for a working invitation, send the request to our email. We will prepare a working invitation within a month after we receive your request and the necessary documents and send it to you. If you want to visit your family in Russia, you can apply for a private visa. 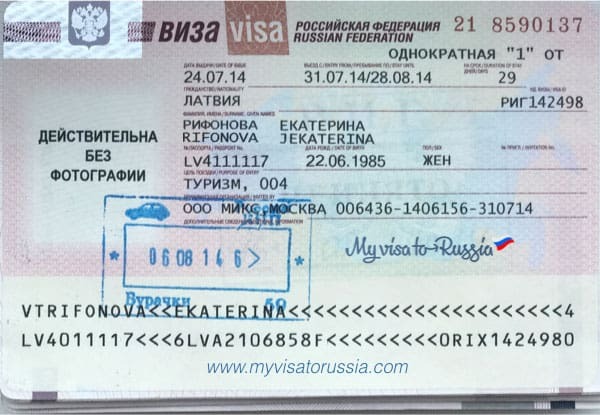 With this visa, you can stay in Russia up to 90 days with the possibility of single or double entry. If you want to receive private invitation, the host must contact the local federal migration service. Invitation issued by the Russian Ministry of Foreign Affairs or the relevant Russian Federal migration service. The invitation is granted on the basis of a petition: by citizen of Russia, foreign citizen with a residence permit in Russia, or legal body. Due to the long and complicated process of applying for a private visa, we recommend you to apply for a tourist or business visa instead. If you still have decided to obtain a private invitation, you can do this by asking your host to apply to the Federal Migration Service of the Russian Federation at the place of his/her registration. Address: ul. Belvederska 25, 00-761 Warsaw.